Yes, it's small. 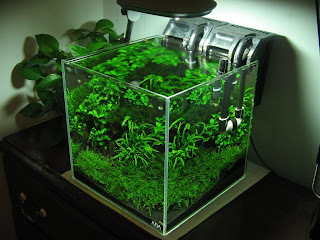 But this great little nano tank by Foofooree over at Aquatic Plant Central is packed with life. It's just so green. And I love the clean look of the rimless ADA tank. It barely even looks like there is a tank. Check out the full thread for a whole host of other aquascapes this tank has gone through. yay! foofooree is on here! 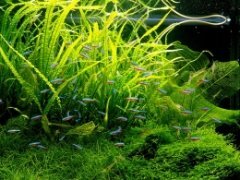 Aquascape of the Week: Renee So's "Morning Glory"
Aquascape of the Week: Zeneo's "A New World"